Throughout his career, Zappa took music to places rarely trafficked. 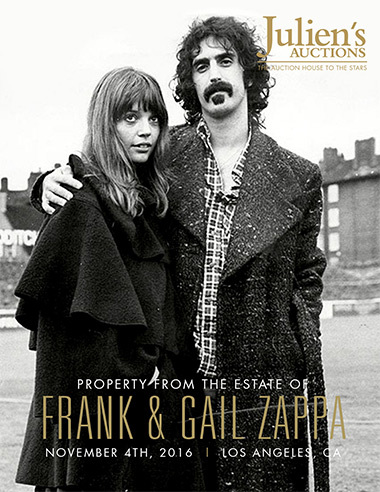 In an interview with The Times UK in 2013, Gail Zappa put it this way: when she first met him in 1966, his group, the Mothers of Invention, was “the LA band”; the real deal. There were others — the Byrds and the Doors and all that. But the real guys? It was the Mothers. Because they did stuff nobody else did, and they said things no one else would dare say.” That is part of the Frank Zappa legacy. 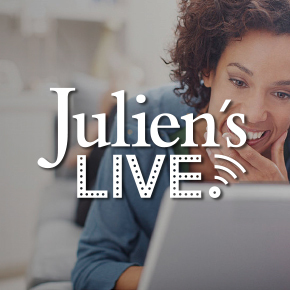 Visit www.julienslive.com to browse the entire auction as well as to register to bid in person, by phone, or online proxy bidding!